In 2018, Sutter Health rolled out an external campaign with the theme “It’s a Thousand Things, Big and Small” that highlighted what makes the healthcare system special. It made a big splash on social media, TV, print, radio, and billboards. Then, Sutter Health got really creative. The communications team launched an internal engagement campaign to connect employees to that external message. It did so by tying the theme back to their organization’s values, such as compassion, innovation, and excellence. The goal: encourage staff to express their Sutter pride by sharing stories about how they and their teams embody those shared values—in “big and small” ways. The idea was strong. The execution? Absolutely stellar. Carey Peterson and Michelle Grant were thrilled with the response in the first two activations of the employee campaign. But even they couldn’t believe what happened in the third chapter. Using Team Sutter, a mobile-device app for communication and engagement that’s popular with Sutter’s on-the-go workforce, they asked employees to describe how they make a difference through the Sutter value of teamwork. In return for sharing a story, employees would receive a Sutter beanie cap with a built-in LED light. In the first six days. Let’s let that sink in. The one thing you consistently hear about Sutter Health is this: Employees love where they work. It’s the type of place where the organizational values aren’t just words. Sutter Health implemented the Dynamic Signal platform ­– which powers Team Sutter – to ensure that all 53,000 people across more than 100 facilities and offices have access to real-time information that reinforces those values. With 60 percent of employees registered for Team Sutter, the app has grown into something more. It’s become an interactive gathering place where employees can celebrate achievements, recognize the work of colleagues and build closer connections among teammates who work in Northern California, Utah, and Hawaii. So, it’s pretty clear why Team Sutter was the perfect vehicle to ask employees for their stories about delivering exceptional care and service through collaborative teamwork. Here’s what’s great for us: Sutter Health shared exactly how they did it. 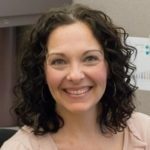 The first activation of the internal campaign, which launched in November 2018, centered around the concept of “Give Thanks.” Posts on Team Sutter asked employees to give shout outs to teammates who deserved special thanks, which also included a giveaway of movie tickets to help promote participation. Employees didn’t need much encouragement. They couldn’t wait to praise and appreciate their co-workers. The second activation, during the December season of giving, was summed up by one question asked on Team Sutter: “How Do YOU Give Back?” The prize for employees contributing stories this time was a cool lanyard that highlighted the Sutter Health values. Nearly 700 comments rolled in. For the grand finale, in late February, employees were asked to share stories about teamwork. Employees could click a link on Team Sutter and provide their answers on a separate form (to give their responses a similar structure). 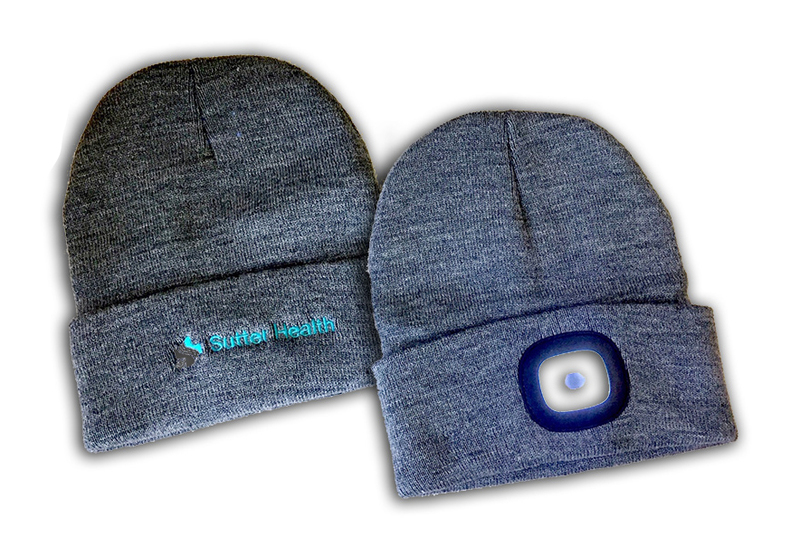 The giveaway item this time around – that light-up Sutter Health beanie cap – proved to be a compelling draw. But within in a few days, 1,100 stories had rolled in — and by the end of March, the count had climbed to 1,710. Leaders have decided to share a couple of those teamwork stories at an upcoming management symposium. In fact, they’re bringing two teams to the main stage for recognition in front of 4,000 attendees based on the responses in Team Sutter. For Peterson and Grant, the campaign showcased something they already knew—Sutter’s employees put their heart into their work. Now, those same employees have a way to “shine their light” and express their pride. Team Sutter has given them a way to show and tell how they make a difference at work. 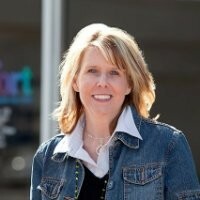 And Sutter Health can collect, curate, and amplify that personal storytelling. After this raging success, app engagement campaigns are bubbling up organically. Grant said she is working with other internal groups to brainstorm ways to use Team Sutter to raise awareness around ideas such as safety, ethics, and inclusion. After all, everyone has a story to tell. They just need the right opportunity. A Chicago native with a gift for .gifs and Dynamic Signal product knowledge, Katie is a Dynamic Signal Product Marketer and is passionate about employee engagement, employee advocacy, equipping communicators with powerful tools and features, and her golden retriever, Brandie. © 2019. Dynamic Signal Inc. All rights reserved.